Dr. Angelina Alejandro is a licensed Naturopathic Medical Doctor. She graduated from the Southwest College of Naturopathic Medicine. Her undergraduate degree is from the University of Arizona where she received a Bachelor of Science in Agriculture – specifically Dietetics. She spent many years in the food service industry and her love of natural medicine is where her passion lies. Angelina is a native to Arizona, born and raised in Mesa. 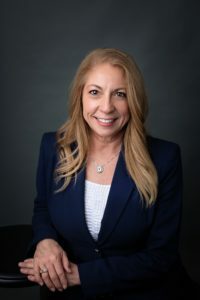 Her experience as a phlebotomist, IV administrator, and European Biological Medicine before attending Southwest College of Naturopathic Medicine is where she acquired her inspiration in holistic care. it was then she realized that there was a way to get people better without hurting them. Even though Dr. Angelina Alejandro can prescribe prescription medication, her knowledge of plants and food as medicine gives her the ability to combat many things such as fatigue, stress and pain. She is dedicated to hormone replacement therapy, allergies, gastrointestinal health, detoxification, weight loss, environmental health, pain management and chronic disease.